Moments from sandy Plum Cove Beach and within easy walking distance of the quaint Lanesville shops, this private, ocean front home offers sweeping, open Atlantic views of sea and sky. A long, breezy deck is perfect for al fresco dining and watching the magnificent sunsets. The light filled interior features hardwood floors, a true âcookâsâ kitchen, en suite first floor master, an office, a studio and an exercise room. Three more bedrooms await your family and guests. 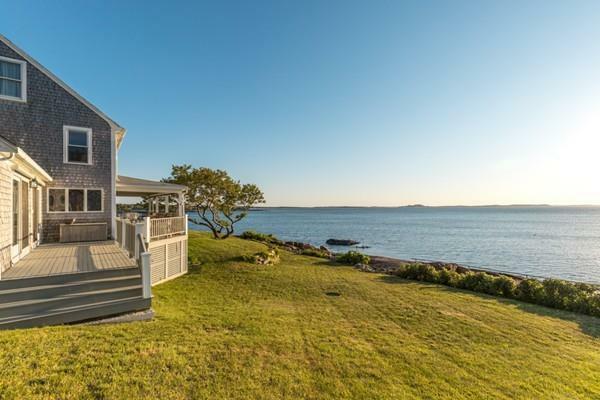 Easily accessible from Boston for weekend and summer use, the views from walls of ocean facing windows and sliding doors are so magnificent, you may want to make this your forever home.